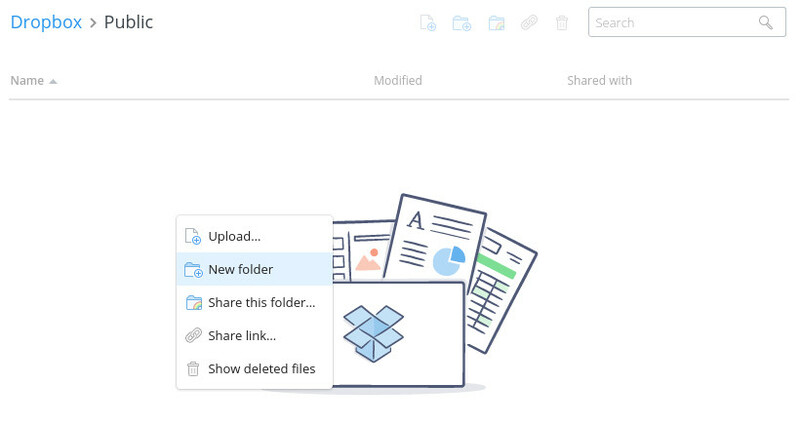 First, you'll need to setup a public folder with Dropbox. If you don't already have a folder named Public on top level, please create a folder called Public on top level and then click here, to enable it — quirk. Since you must use the Public folder to make your files accessible by everybody, there is no choice but to use access to everything — major quirk. Click on Create app. On the next page generate you need to get your App secret (click on Show right to App secret) and must generate a new access token (click on Generate below Generate access token). The App key is not needed. That's about it for Dropbox. 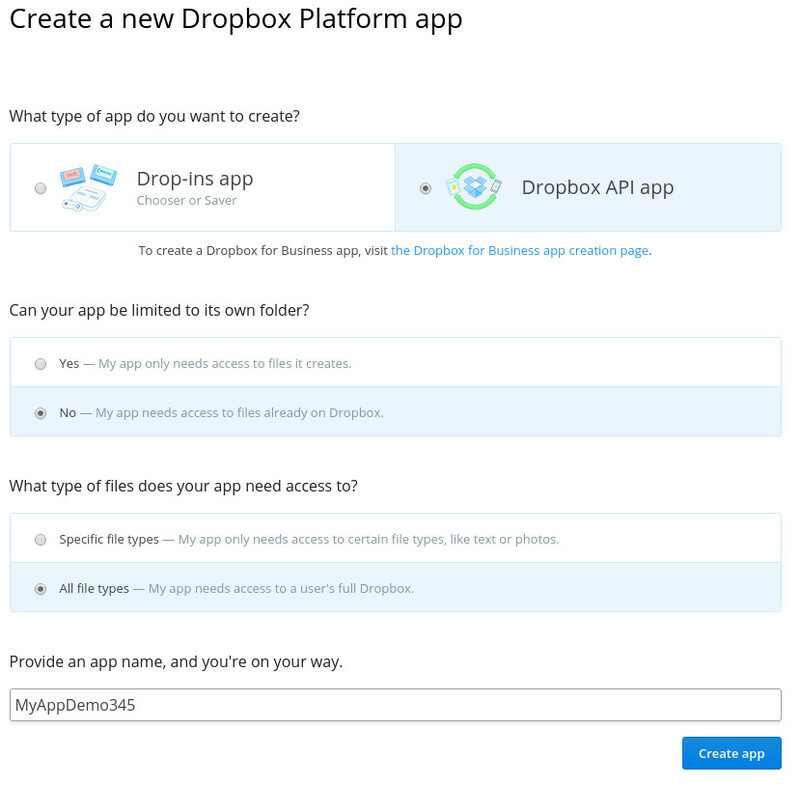 Now that all of that is done, let's try to read & write files with the Dropbox adapter for flysystem. You want to install league/flysystem-dropbox, which depends on league/flysystem via Composer. Of course, if you are using a framework, this will be far more elegant. Checkout these recipes. Dropbox currently does not support directory listing, which is a good thing IMHO.